As President Obama's term comes to an end, we celebrate the progress Asian Americans, Native Hawaiians, and Pacific Islanders (AAPIs) throughout the nation have made during this Administration. AAPIs are the fastest growing racial group in the nation, and with that tremendous growth is the urgent need to address the pressing, unique needs and uplift the tremendous assets of our community. Recognizing the challenges and barriers AAPI across the country face, on October 14, 2009, President Obama reauthorized the White House Initiative on AAPIs, which would be housed in the Department of Education and work to help address issues facing AAPIs from all corners of the country, from civil rights to immigration, healthcare to education, and economic development to data disaggregation. Since then, we've come a long way. And to share this story, we're unveiling a new time capsule documentary to share highlights of our journey. In the final days of President Obama's time in office, join us in reflecting on the progress we have made with #YesWeCan. Tell your personal story, the Obama "#YesWeCan" moment that inspired you, and what action you took or will take moving forward. Share on social media through video, photos, blog posts and other posts what Obama moment inspired you and how we can take action to keep moving forward with #YesWeCan. You can also submit your story online at wh.gov/YesWeCan. 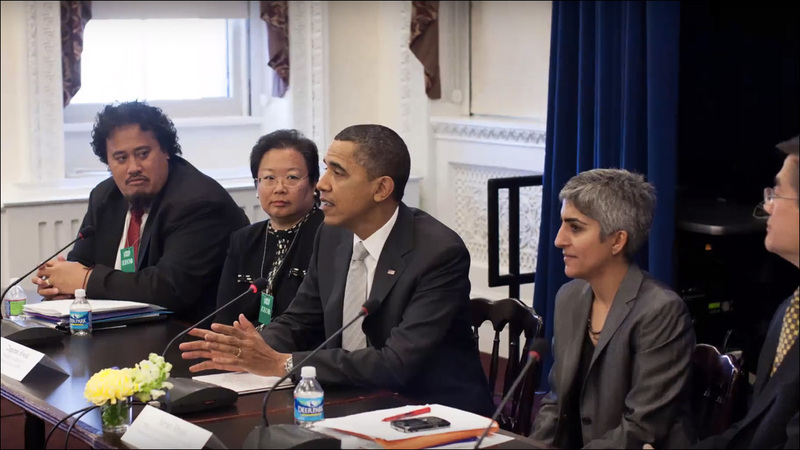 Doua Thor is Executive Director of the White House Initiative on Asian Americans and Pacific Islanders and Former Member of the President's Advisory Commission on AAPIs. The Initiative and Commission are housed in the Department of Education. Check out a few of our favorite moments over the years!